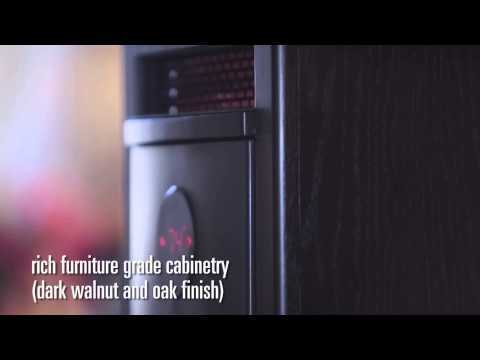 The Deluxe Infrared Wall Heater from Heat Storm is a perfect solution for when floor space is limited. This heater boasts 3100 BTUs of balanced heat that keeps the temperature difference between the floor and ceiling within 2 and 3 degrees. The high efficiency lifetime filter ensures air purification. Heat up to 500 square feet of any room with this sleek and contemporary quartz infrared wall heater that uses less that 2 square feet of wall space and assures that your wall stays cool. This unit is also safe to the touch and boasts a Whisper-Quiet cross flow fan. Heat Storm believes that world class heat should not be limited to heavy box-shaped heaters. Room Size 500 Sq. Ft. The manufacturer warrants this product to be free from manufacturing and material defects for a period of three (3) years from the date of purchase.